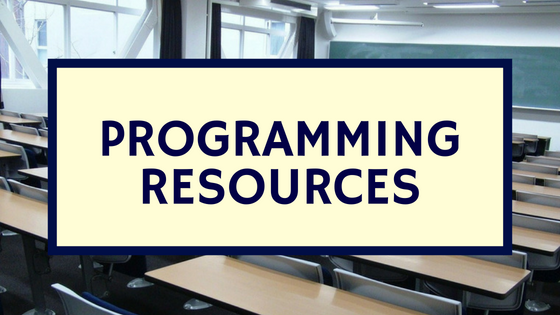 Introduction to Programming With Xojo– This is a solid resource for learning the fundamentals of programming. While you will use Xojo, the concepts introduced are applicable to any language you want to learn later. In our experience, this book can be helpful to students as young 12 or 13 years old! We also have a Teacher’s Guide for educators planning on using Xojo in the classroom. iOS Booklet– This booklet shows you how to use Xojo to develop for our latest supported platform, iOS! Books, Magazines, Training & Tutorials from the Xojo community. First and foremost, who should learn to code!? Everyone! Now that you have made your apps with Xojo, read how to Package, Sell & Market your apps. The Flat Earth for Young Software Entrepreneurs– Today a 12 year old with a good idea and some determination can create an app and sell it with little up-front cost. Earn the Boy Scout Programming Merit Badge with Xojo. Retro Gaming – A fun webinar for beginners! Learn as we create a simple clone of the Atari 2600 game Combat. This Playlist of videos is geared towards Getting Started with Xojo. Recorded webinars and video tutorials can be watched anytime. Want to see it done? Tutorials take you step-by-step through the code for a Desktop, Web or iOS program. Or get into the details with how to create your own customer controls, build a messenger app, access the serial port, build an iOS app and more. For a greater challenge see our Timer Tutorial & Quizzes, SQLite Basics Tutorial & Quizzes and the more in-depth SQLiteDatabase & iOSQLiteDatabase Tutorial & Quizzes. Keep checking in, we add new Tutorials all the time! Here are step-by-step instructions on how to get started with Xojo. And of course the Xojo Blog is always full of tips, announcements, and news about Xojo and cross-platform development. The Xojo Forum is a good stop when you want to crowdsource your answers or ask a Xojo expert. There are also open-source Xojo projects to review and utilize. What do you need to start learning to code with Xojo? Email me, I’m here to help you find the resource you need.